The position holder will provide technical expertise in analyzing business processes involved in the pursuit of USAID Boresha Afya project objectives for the purpose of defining digital health solutions that should be brought to bear. It requires strong business skills and would be responsible for reviewing, analyzing and occasionally modifying systems including encoding, testing, debugging and installing digital health systems. The position will also be responsible for documentation to describe custom configuration of digital health systems and operating procedures and a working knowledge of relational databases, m-health development, web, and client-server concepts. At least a degree related to computer science or software development. 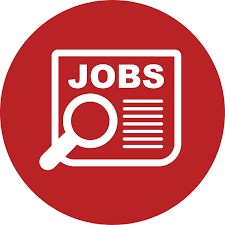 Must have field experience, with a minimum of 5 years’ experience providing technical assistance for ICT interventions, preferably Health Information systems. 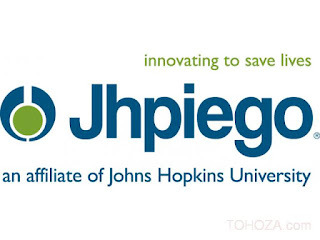 Jhpiego offers a competitive package selected candidates in line with salary history, academic qualifications, and relevant experience. To apply please indicate the position title of the position you are applying for on the subject line of your email. Applications should also include an up-to-date CV with three contactable professional references, a cover letter, and your salary history. Applications which do NOT include all of these elements, will NOT be considered. All application should be addressed to the Director of Human Resources and sent to Email: HRTZ@jhpiego.org Electronics applications are encouraged. The subject on your application email should be the Title of the position you are applying for, so that we do not miss your application. Please note that only shortlisted candidates will be contacted. The closing date for applications on Friday 07 December 2018, at 5:00 P.M. The Case manager will work under the technical guidance and supervision of the Clinical Services Program Officer (CS PO). S/he will be managing the clients from the Sauti-TZ program, that required further follow up, in terms of biomedical, behavioral and structural support. S/he will collaborate with the MOHSW to ensure the continuum of care of a selected high-risk Key and vulnerable population (KVP). Degree in nursing or social science or other relevant fields. Certificate in IT, records management, EMR, - Diploma or higher will be an added advantage. Experience of using DHIS2, MS Excel, MS Access, Epi-info, SPSS, and other types of Software will be an added advantage.